You certainly expect an eye care practice to talk about 20/20…. after all, we work hard to help you see 20/20. 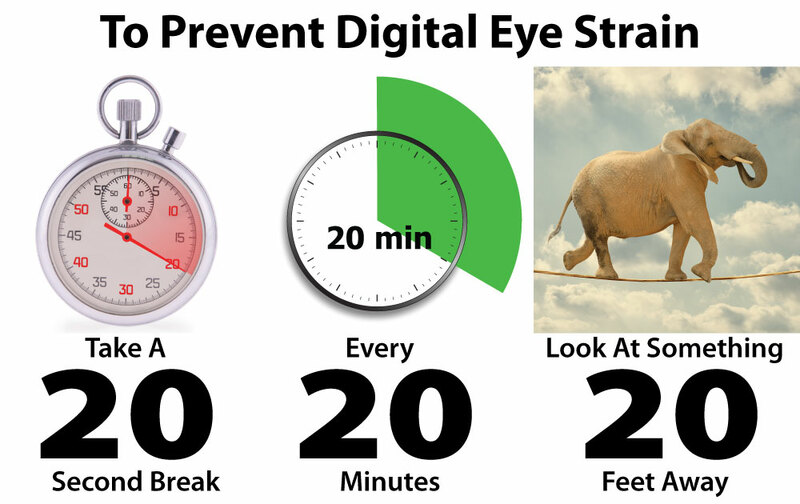 If you spend lots of time in front of a computer all day, and most of us do, change 20/20 to 20-20-20 to help your eyesight and reduce eye strain. If this doesn’t help, schedule an eye exam with us today.